With a show as huge as SHOT, it can take a little time to digest everything that one sees and does during the show. 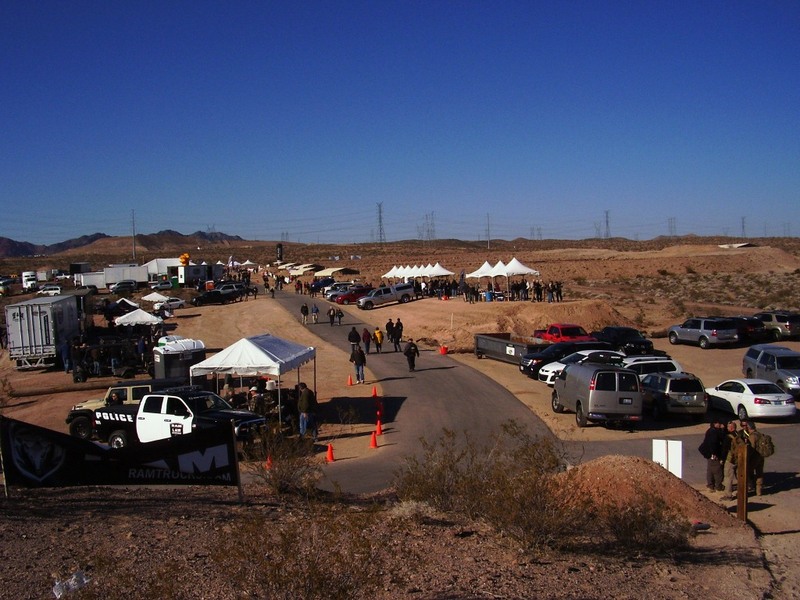 The 2012 SHOT Show festivities lasted from January 16th through 20th 2012 and included shooting range time, company exhibits, movie screenings, celebrity appearances, meetings and more. By now, we’ve had just about enough time to come up with a brief list of some of our favorite things from this year’s show. We saw many great things during the show and this list is not meant to be comprehensive or an absolute list of the biggest game-changers in the firearms industry but merely a subjective list of things that we personally enjoyed. Lets face it: Shooting stuff is fun. Shooting stuff is even more fun when you get to shoot other people’s brand new firearms that are either just hitting shelves or are still on their way to the market. “Free” ammo that other people load into the magazines for you certainly doesn’t hurt either! This is why the NSSF SHOT Show Media Day at the Range, held the day before the official open of SHOT Show, gets a nod on our “best of” list. The NSSF and other gracious Media Day sponsors provided everything from range transportation, eye and ear protection and lunch to cutting edge firearms and piles of ammunition. From door-breaching shotgun demonstrations and ultra-compact concealed carry pieces to shooting long range steel and close-up clay-birds, there was plenty on display at the Boulder City, Nevada, gun range and we did our best to check out as much of it as possible, making steel targets ring and zombie-Nazis bleed their colorful fake blood. 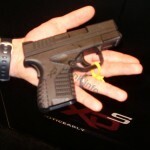 One of our favorite things from Media Day at the Range was getting the opportunity to fire Springfield Armory’s brand new compact XD-S pistol, a 5+1 capacity .45ACP carry piece planned to hit shelves in March 2012. 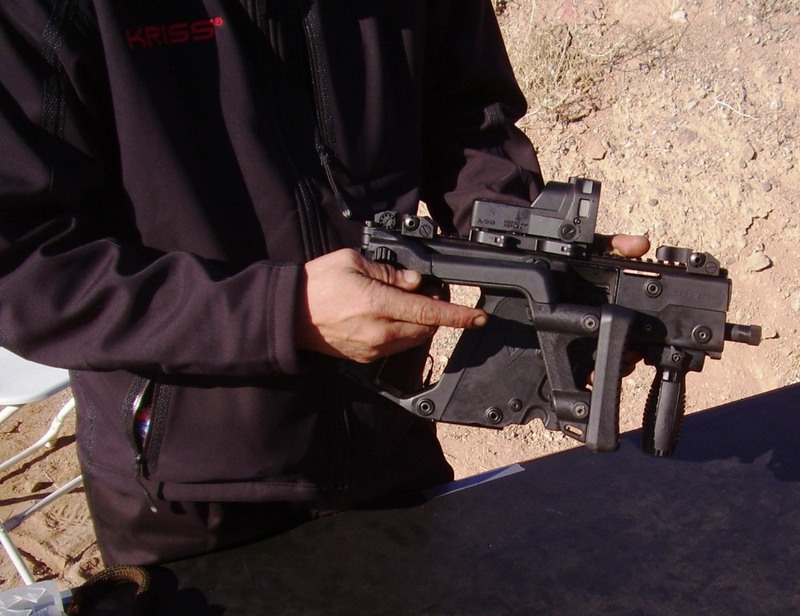 Another bit of hand-held fun that we got to have was with the Kriss Vector, a 1,200 rounds-per-minute automatic .45ACP SMG with next to no recoil or muzzle-rise due to it’s innovative Super V recoil system. The shooting fun didn’t stop with handgun calibers either; we also got to shoot some rifles. 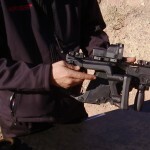 Our favorite ways to burn through a pile of “free” ammo included the Parabellum automatic AK47 with the dust-cover mounted Picatinny rail and ratcheting charging handle and the Slidefire Solutions AR15, which mimicked full-auto operation. 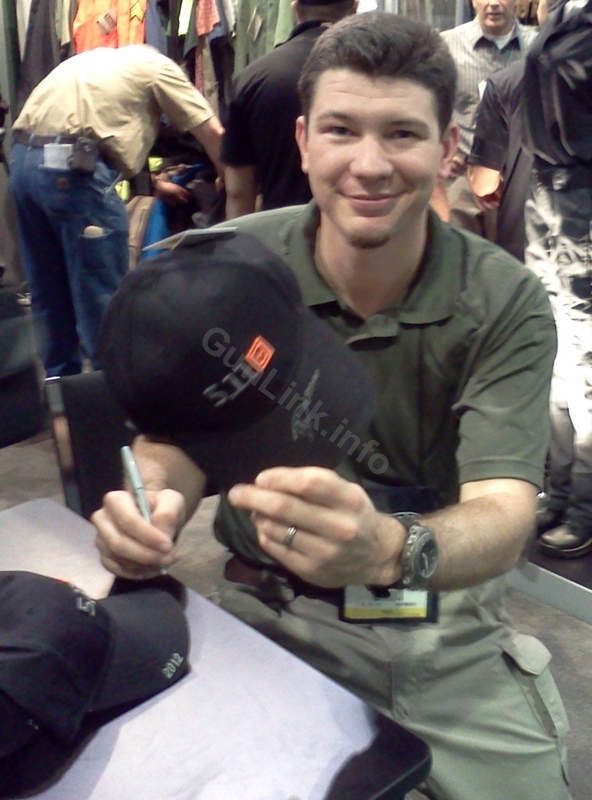 During the course of the SHOT Show, we gathered a tremendous amount of information on the newest and best products being offered to the shooting, hunting, outdoor, law enforcement and military trades. 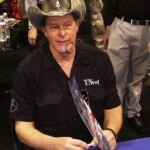 This information came in many forms including first hand photography and notes as well as press kits and informational material from manufacturers and distributors. Press kits have come a long way. While there is still plenty of paper product literature available to lug around, recent years have seen a shift to be not only “greener” but also lighter and more portable by delivering information on CDs and DVDs. 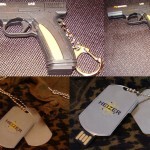 More recently still, press kits have made another leap forward in portability and convenience by making use of USB flash drives to deliver high-quality content. GunLink gathered way too much product information to play favorites with, but we did particularly enjoy the way that two manufacturers delivered their electronic media press kits. 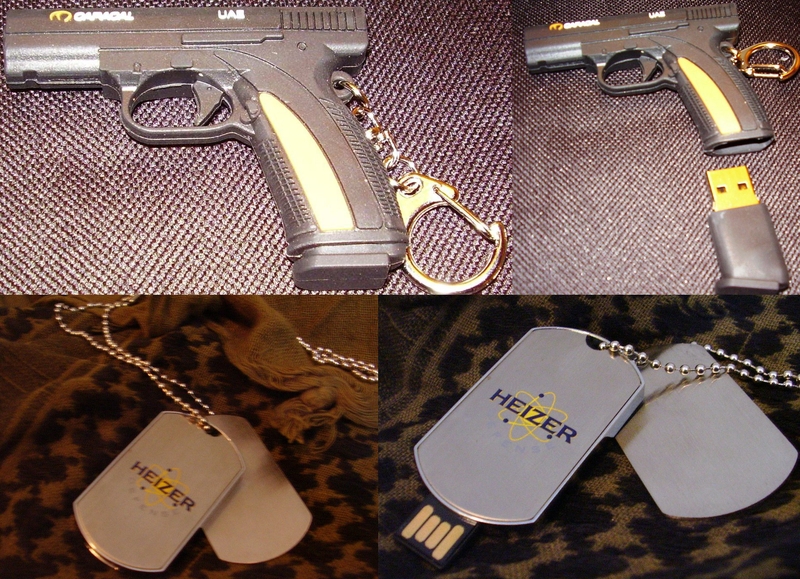 Heizer Defense, makers of the Double Tap, provided their product information on a USB flash drive themed after a set of military dog tags while UAE firearms manufacturer Caracal provided theirs on a USB flash drive cleverly disguised as a removable magazine from a pistol key chain. Both brilliant, both functional. Great stuff. 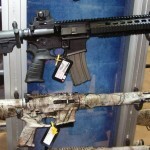 The SHOT Show, as always, featured firearms to appeal to gun enthusiasts from all walks of life, from sporting firearms designed to harvest game, break clays or punch paper to compact weapons for self defense to weapons of war that go to work behind the scenes in the hands of law enforcement and military users to keep us safe. 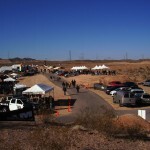 To be sure, we certainly enjoyed all of the firearms that we got to handle and shoot during both the Media Day at the Range as well as the main part of the show. Be that as it may, there were some that really stood out to us for one reason or another. 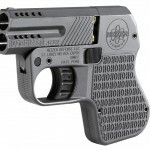 Heizer Defense makes the list again by bringing the derringer into the space age. The aerospace company was showing off their nifty new Double Tap, featuring two barrels full of 9mm or .45ACP ammo in a compact package made of either aluminum or titanium. 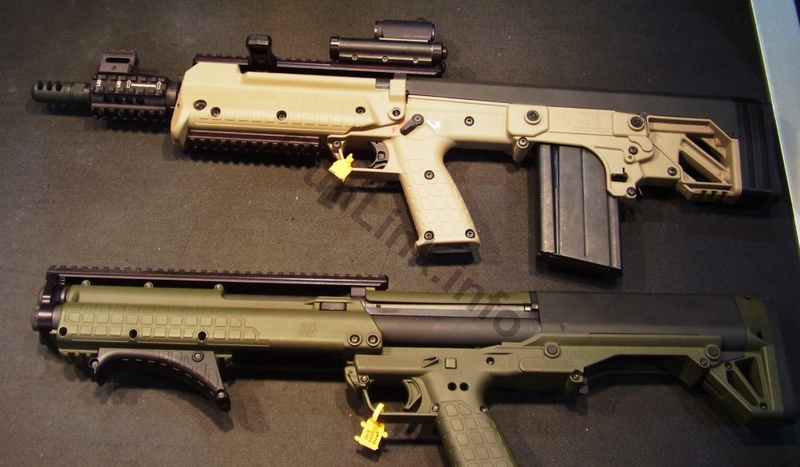 Next up are a couple of offerings from another American firearms manufacturer: Kel-Tec. 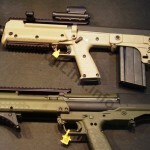 Kel-Tec, who have long offered affordable polymer-framed CCW pistols in various calibers, takes their polymer know-how further with some bullpup style offerings, including the RFB rifle, chambered in 7.62×51, and the new KSG shotgun, available in a variety of configurations, which feeds from one of two magazine tubes for massive 15-round ammo capacity. Another intriguing bevy of firearms came from yet another domestic firearms manufacturer. Mossberg was at the show with their line of Mossberg Modern Rifles (MMR), available in both tactical and sporting configurations and a variety of finishes. Although the modern name may be a bit of a misnomer for a rifle based on the aged AR-15 platform, the MMRs appear to be well built and provide a great entry point into tactical sport rifles for users who otherwise might not be interested. The SHOT Show isn’t just about guns and gear; with plenty of opportunities to meet interesting people, it’s also a great place for networking. From “booth babes” to shooting stars, there is no telling who you might see on the show floor. 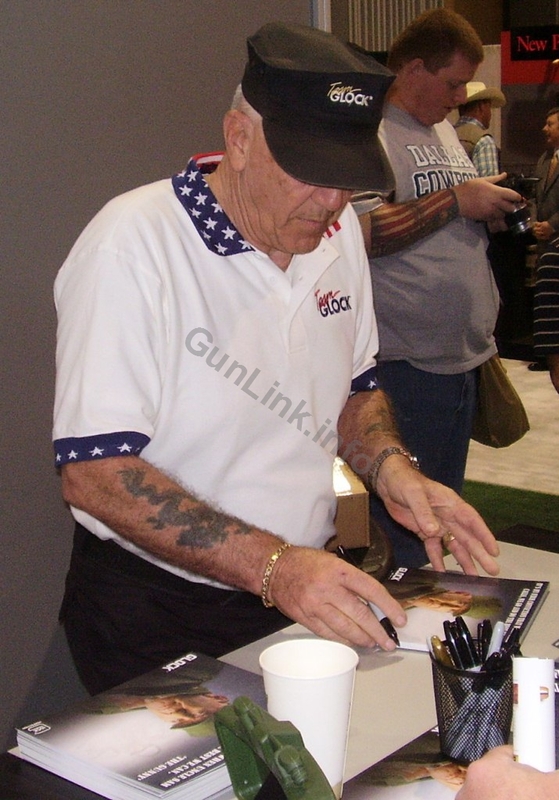 I ran into “Gunny” R Lee Ermy and Top Shot Season 3 winner Dustin Ellerman both on the range during Media Day and on the SHOT Show floor. Other TV personalities whom I had the opportunity to meet included History Channel’s Top Shot host Colby Donaldson and a few of the stars of Discovery Channel’s Sons of Guns from Red Jacket Firearms. 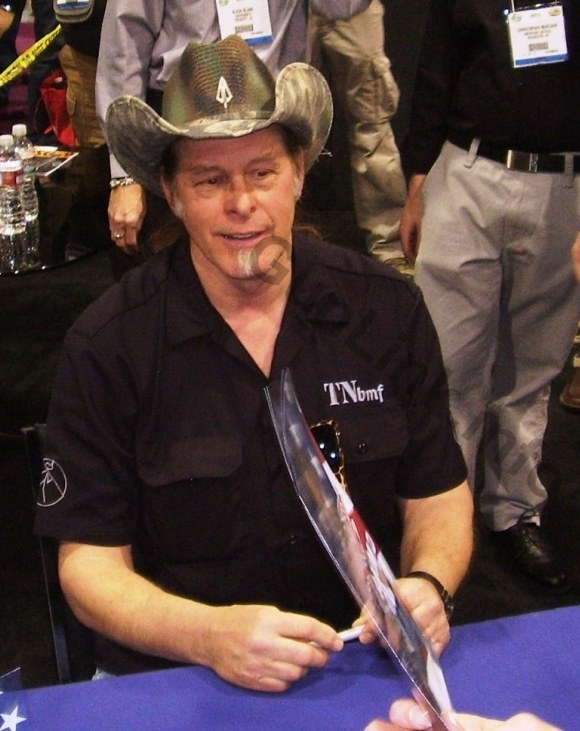 I shook hands with Motor City Madman, “Uncle” Ted Nugent, as he promoted his new high-performance hunting ammunition at distributor ATI’s booth. Celebrities weren’t the only interesting people to meet by a long shot either. Given the subject matter of the show, it should be no surprise that there were plenty of real Heroes there. I had the honor of seeing one of the 83 living recipients of the Congressional Medal of Honor – The US military’s highest honor. By complete coincidence, I also happened to run into a Bronze Star recipient who is good friends with and served in the same unit during Vietnam as one of my former employers. 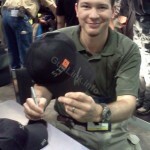 I also got to catch up with Chris Costa at the LaRue Tactical booth. Many of the celebrities were there to use their name recognition to bring bodies into exhibitors’ booths, but the exhibitors, media and other personnel who were there to work were also fine folks. 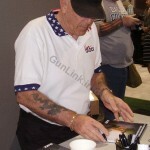 The developer of firearms inventory system MyGunDB missed out on getting a booth but was nonetheless in attendance. I also had the pleasure of meeting up with the designers of the new line of police wear geared toward female officers, Her Blue Wear. I also had the chance to stop by the Elzetta booth and see the legendary durability of their tactical lights on display with their famous ZFL-M60 light that has been used to pound countless nails into boards. On the media side of things, GunLink had the chance to break bread with some firearms writers and web content creators including Dennis from GunSpec, Kevin from Team Gun Blogger and The Firearms Coalition’s Chris Knox. The son of the inimitable Neal Knox (former NRA board member, NRA-ILA Executive Director, Firearms Coalition chairman and force to be reckoned with in the battle for gun rights), Chris has compiled and edited a collection of his late father’s writing in his book The Gun Rights War. 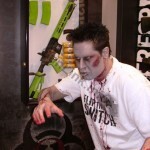 The zombie trend is alive and well (so to speak) at the SHOT Show, as it is in many facets of life for the past few years. 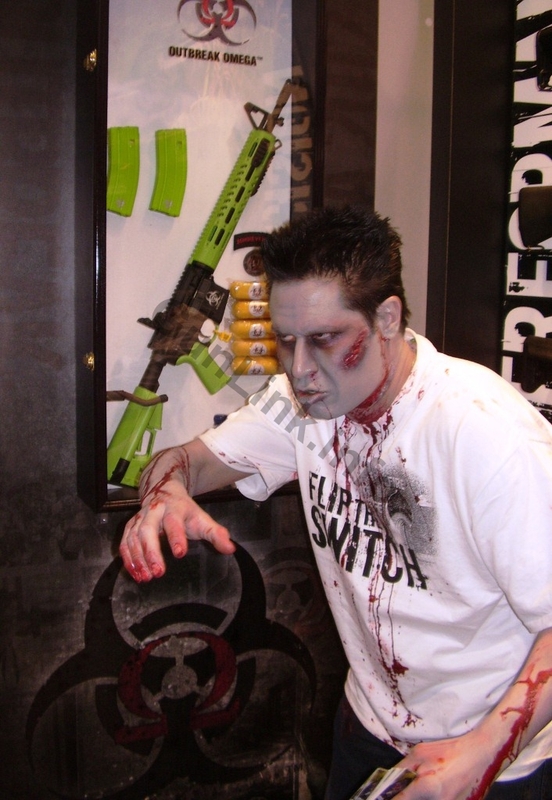 Zombies are nothing new but they are certainly experiencing a pop culture explosion as evidenced by the Golden Globe nominated Walking Dead series on AMC and materials released by the Centers for Disease Control (CDC). 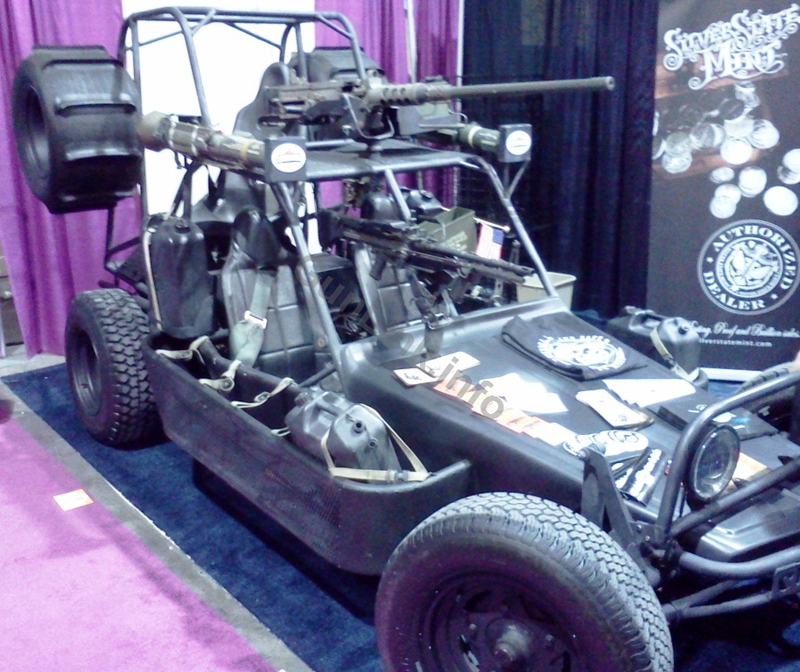 “The Gun Crowd” is no exception when it comes to the trend and the SHOT Show had no shortage of zombie themed items (and even some of the brain-hungry monsters themselves). It’s a good thing that DPMS had an emergency kit (complete with Twinkies and an AR15 decked out in green furniture). 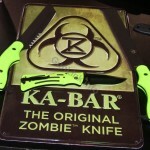 We’re sure it would come in handy if the zombie shuffling around their booth got out of hand. 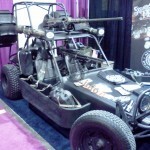 No word on whether or not it comes with Hornady Zombie Max anti-undead ammunition. 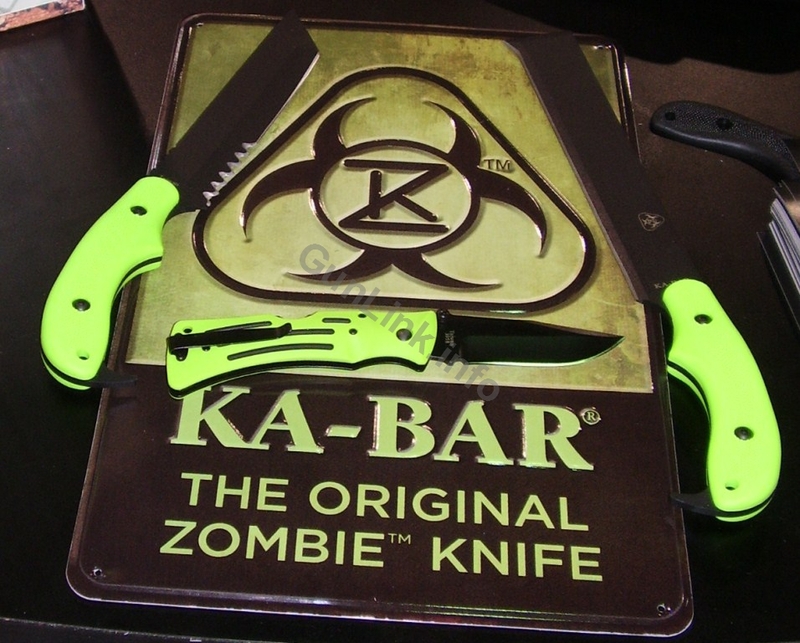 For those who prefer to dispatch the undead in a more hands-on manner, KA-BAR has their line of zombie knives to fit the bill. Finally, although not explicitly billed as an anti-zombie measure, there was TEOTWAWKI transportation available. With all this attention, we feel that we would be remiss in our list making if we left this trend off of the best-of list.